Last seen in the experimental comedy film Jil Jung Juk, Siddharth is teaming up with Andrea Jeremiah for a multilingual project titled The House Next Door. Taking it to Twitter, Siddharth wrote, "So excited to announce my next release in Tamil, Telugu & Hindi today! Someone is moving into the house next door. Stay tuned to know more." The movie marks the directorial debut of Milind Rau and is titled “The House Next Door” in Hindi. The Telugu version of the film, which is currently in the post-production stage, is titled Gruham. Meanwhile, today Siddharth has unveiled the first look poster of the film. 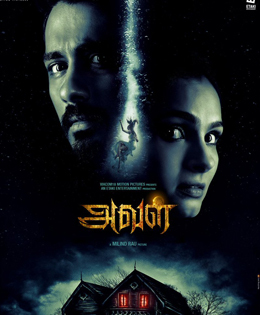 The teaser of Aval will be launched at the Pro Kabaddi today evening, said Siddharth. Touted to be a horror thriller, the movie will be bankrolled by the actor himself under Etaki Entertainment banner.